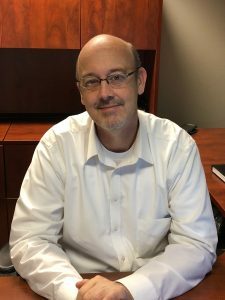 Welcome Paul Smale | Wisconsin Converting, Inc.
We are pleased to announce the addition of Paul Smale as Sales Account Executive. Paul is a graduate of Michigan State University and a veteran of the US Army. He comes to WCI with 15 years of history in the packaging industry as Sales Manager at Sierra Coatings, LLC. Paul led product development of custom paper coatings for a variety of industries including food service and eco-friendly packaging. His knowledge of the paper and converting industries allow Paul to hit the ground running – making him a valuable resource for WCI and our customers. Outside of work, Paul is a proud father of one teenage daughter. He enjoys supporting her in her musical and theatrical performances and is learning to cope with her being a new driver! He’s also an avid sportsman and enjoys traveling the country to go fly fishing and to explore new scenery. If you’ve got a packaging opportunity, Paul can be reached via email at psmale@wcibag.com or at 920-437-6400 x339.